Plastic surgeons have raised concerns about sales of cosmetic treatments through a UK clothing catalogue. Grattan offers customers a range of non-surgical procedures, such as Botox, from Transform Cosmetic Surgery. But the British Association of Aesthetic Plastic Surgeons warned "off-the-shelf" sales undermined the seriousness of the procedures. Transform said consumers received a consultation and were fully informed before undergoing any procedure. Use of Botox - a highly purified and much diluted form of the botulism bacterium which paralyses the muscles - is becoming increasingly popular in the UK as a treatment to smooth out wrinkles. Grattan catalogue offers Botox alongside lip enhancement and skin peels and allows customers to pay in instalments. But in a statement the association cautioned members of the public against buying non-surgical cosmetic procedures in this way. They also criticised a competition in the catalogue to have a cosmetic makeover on the Channel 4 TV programme 10 Years Younger, which often involves treatments such as lip enhancement, teeth whitening as well as more complex procedures such as laser eye surgery. BAAPS president Douglas McGeorge, who is a consultant plastic surgeon, said: "I'm surprised that any cosmetic surgery company claiming to provide quality of care would choose to market through a clothing catalogue. "It is essential the public understand that aesthetic procedures, even if they are non-surgical, are not commodities to buy off-the-shelf and cannot later be exchanged for a different style or size. "Side effects from injectables may be rare but they do happen, and the latest warnings from manufacturers serve to highlight the need for proper consultation and thorough informed consent by the patient." 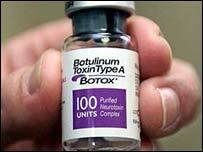 Mr McGeorge said Allergan, the makers of Botox, had recently put out a statement reiterating that the toxin should only be administered by physicians and warning of adverse events in people with certain disorders. Pat Dunion, operations director from Transform Cosmetic Surgery, said they had over 30 years of experience in providing cosmetic surgery. "Transform is regulated and audited by the Healthcare Commission and all our skilled and experienced non-surgical practitioners across our 22 clinics are either a qualified doctor, surgeon or a registered general nurse. "The partnership with Grattan is an effective means of widening the non-surgical market. "The clinical decision process for Grattan customers is the same as for all our non-surgical patients. "Regardless of how they heard of Transform, all are fully informed about the procedures before they consent to proceed. "Transform is committed to high quality patient care and is currently leading the way, alongside industry partners, to push the current government to introduce formal regulation of the non-surgical market in the UK." Grattan were unable to provide a comment.